These full day tours of Yosemite National Park are given in comfortable, air-conditioned buses and guided by the most knowledgeable tour guides! Pick-ups are available at all major hotels in Oakhurst, Coarsegold, Bass Lake, and Fish Camp, California. Choose from the Yosemite Full Day Tour, The Sentinel Dome Full Moon Tour, The (new) Yosemite Photo Tours, and more! You will experience the magnificent vistas of the iconic Half Dome, El Capitan, Bridalveil Fall, Yosemite Falls, Three Brothers, Leaning Tower, Glacier Point, Ribbon Fall, Cathedral Spires, Royal Arches, Yosemite Chapel, Vernal & Nevada Falls and more. Lunch included. Granted the Certificate of Excellence year after year from TripAdvisor. View our ratings and reviews and leaving the driving to us! Yosemite Family Adventures provides private tour packages of Yosemite National Park for the whole family. Choose from sightseeing tours, hiking tours, fishing tours, stargazing tours, or their popular “Build Your Own Adventure!” The Build Your Own Adventure tour maximizes your time in Yosemite National Park, allowing your family to see three of the five “must-see” areas of the park in one day. One of the few tour companies that offer fly fishing excursions, great way to take a break from the hustle and bustle of everyday life. Their local fly fishing guides can teach complete beginners or support the expert anglers in catching wild native trout in Yosemite National Park. Yosemite backpacking tours, climbing, fly fishing, camping, and serious hiking. From the rugged to the relaxed, iconic to isolated, California’s Sierra Nevada Mountains offer endless possibilities for exploration and adventure. Carefully chosen itineraries, seamless planning, friendly & knowledgeable guides, and incredible food all contribute to the quality of the SYMG experience. From big adventures to relaxing basecamp outings, their aim is to facilitate what just may be your “trip of a lifetime.” Some trip packages include lodging, transportation, and stock-support. Sequoia Sightseeing Tours offers daily tours of the largest trees on earth and deepest canyon in the United States, with tours covering Sequoia National Park and Kings Canyon National Park, two of the most beautiful places on earth. Small groups allow you to visit areas few people see or would even know were there. Visit some of the main attractions in Sequoia National Park, where summer tours include the Auto Log, Moro Rock, the Tunnel Log, the Parker Group, and the General Sherman tree. Full-day tours might also include stops at the Giant Forest Museum, Hospital Rock or an easily accessible meadow. Winter tours generally include 11 Ranges overlook, the Giant Forest Museum, Round Meadow, the General Sherman tree, Long Meadow, and the Tokopah Valley. Sequoia Sightseeing Tours is locally owned and operated by the Bischoff Family. 4-wheel-drive Jeep tours and rentals serving Yosemite National Park and Bass Lake. Go on a 4×4 Jeep tour where the guides drive you in the back country on 4×4 trails to different destinations in the Sierras. 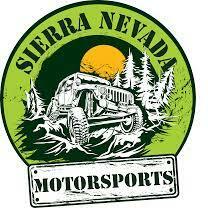 Or rent and drive a 4×4, RZR, or ATV to explore on your own. Snow tours available in the winter months; some trails and roads subject to closure. Do you own a tour company and are interested in being included in this list? Contact Us Today.